Huawei’s AI portfolio is rapidly growing with new chips and solutions unveiled constantly with the aim of revolutionizing the industry. 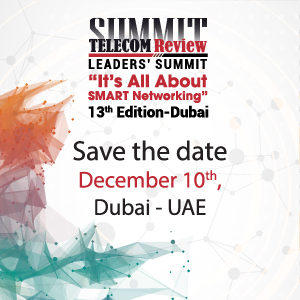 Telecom Review spoke to Alaa ElShimy, Managing Director and Vice President for Huawei Enterprise Business Group for Middle East, who shed light on Huawei’s newly announced Ascend series of AI chips and its contribution to 5G development in the Middle East. Huawei has established a comprehensive AI strategy, and has projected that by 2025, AI devices will be readily available on a global scale. In your expert opinion, how well-positioned is the Middle East for success in the new age of AI? Huawei predicts that by 2025, the world will see upwards of 40 billion personal smart devices, and 90% of device users will have a smart digital assistant. Data utilization will reach 86% and AI services will be readily available, as prevalent as the air we breathe. AI has become a new general purpose technology and will change all industries and organizations on earth. I firmly believe that the Middle East has all the ingredients it needs to be successful in the age of AI: a young, talented population, visionary and forward-thinking leadership, and a drive to innovate and develop. 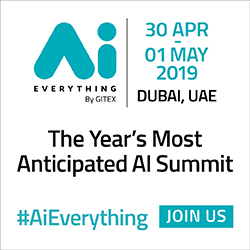 Again and again we have seen that our partners and customers in the region recognize the value of adopting technology to drive growth, and we are confident that AI will bring nothing but continued progress and success to organizations in the region. How is Huawei accelerating the development of 5G in the Middle East? Huawei is a leader in 5G development globally as well as in the Middle East. In February this year, we unveiled the world’s first full range of end-to-end (E2E) 3GPP-compliant 5G product solutions. This release covered the core network, the bearer network, base station, and terminals, as well as the world’s first 5G chipset. 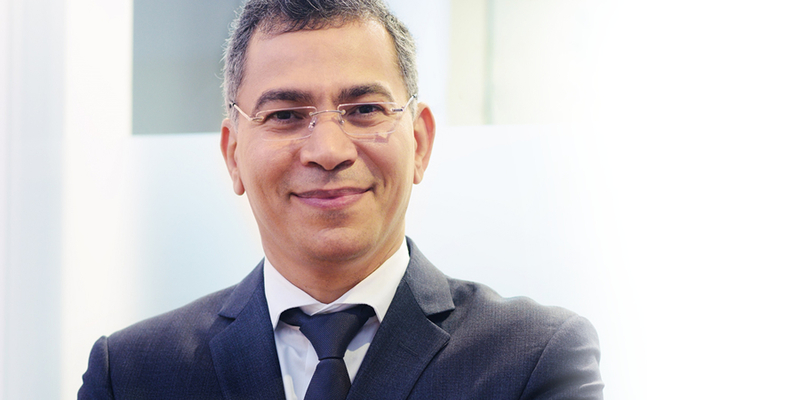 We are also playing a leading role in 5G development in the Middle East. To continue to foster the growth of 5G, at GITEX we hosted the 5G Ecosystem Conference. Under the theme “5G is Now, Sailing to New eMBB Horizons,” the conference promoted a 5G ecosystem in the Middle East by bringing together operators, regulatory agencies, industry leaders and other stakeholders to discuss 5G from a business, policy, and industry perspective. To give regional organizations a clear path forward to ushering the 5G economy, we also used the day as an opportunity to unveil a new research paper conducted in partnership with Analysys Mason, a global consulting and research firm specializing in telecoms, media and digital services. Titled “Unlocking Digital Opportunities with 5G” the White Paper digs deep into the economic impact 5G will have in the GCC, and identifies the top fifty use cases for 5G in both the short and long-term. We hope this research will give organizations a clear blueprint on how to maximize the benefits from 5G. Huawei is a global pioneer in championing and developing new cutting-edge innovations and solutions in the telecommunications space. In your opinion, what is it that really differentiates Huawei from other vendors? We differentiate ourselves through our innovative and customer-centric approach to ICT. We aim to benefit from our position as one of the largest ICT companies in existence, while working with local partners all over the world to tailor our solution to regional needs. This unique combination of global expertise and local insight make Huawei an unrivaled vendor in the ICT industry. We aren’t happy to merely provide a portfolio of the world’s most advanced products and solutions – we design them for the convenience of our customers across each market. This drive to find solutions for each market’s unique needs has pushed us to become among the most innovative companies in the industry. Last year, our annual investment in research and development reached US$13.8 billion, up 17.4% compared with 2016. Our total R&D spend over the past decade has exceeded US$60.4 billion. How much of a key enabler is Huawei in driving government-led smart city developments and projects across the GCC region? Huawei is a key enabler in driving government-led smart city developments and projects in the GCC, particularly in the field of Safe Cities. Huawei is committed to building a fully connected, intelligent world, and Safe City solutions are an integral part of this program. In this new world, safety should be as fundamental as air and water, nurturing everyone in every city, supporting the old and weak, and bringing peace and happiness to everyone. We are working with global industry leaders in the security field to create end-to-end public safety solutions using the platforms and solutions provided by new ICT innovations. We are a leading player in the global and Middle East public safety industry and we provide multiple AI-based solutions. One is the world’s first AI-enabled software-defined camera (SDC), the M/X series. This series of cameras can be applied to a vast range of scenarios and improve image processing capabilities by 25 times. We have also launched the Industry Enabling Platform to flexibly orchestrate AI services and introduce components from different partners, such as intelligent analysis, to quickly solve cases and establish a new intelligent policing process. This approach enables intelligent infrastructure, efficient and collaborative government services, visualized city operations, and coordinated city emergency response. Through resource convergence, traditional siloed management transforms into integrated governance, and reactive city response transforms into active management. Can you outline to us what your primary objectives and goals are for the next 12 months? Huawei’s mission is to bring digital to every person, home, and organization for a fully connected and intelligent world. This will continue to be our priority for the next twelve months. We will tackle this monumental task through a two-pronged approach: on the one hand, continued investment in innovative technologies, particularly in the realm of AI, and on the other, educational initiatives to ensure the people of the Middle East are ready to be the first to adopt groundbreaking technologies. Openness and knowledge-sharing are deeply engrained in the Huawei ethos, and we are committed to contributing to the region’s economic growth by developing an ICT talent ecosystem in the Middle East. We work with government authorities, partners, and universities to identify, support and grow the future leaders of the ICT industry, as well as promote innovation and creativity among the region’s students. An integral part of our approach to this is our ICT Competition, which is currently going through its second iteration in the Middle East. The competition aims to increase the region’s ICT competitiveness and encourages the youth to contribute to the success of the leadership’s national vision for digital transformation and economic growth. Yet the ICT Competition is just one of many initiatives we have launched to develop the Middle East’s ICT talent ecosystem. We have implemented our global flagship CSR Seeds for the Future program to offer training and internships to promising students across the region. We also launched our Future Leaders Program this year, an initiative which provides Saudi students with three months of technical training and hands-on practice on ICT projects in order to prepare them to become engaged members of the workforce in line with Saudi Vision 2030. And these are just the start. We have just signed a Memorandum of Understanding (MoU) with Saudi Arabia’s Ministry of Communications and Information Technology (MCIT) to provide the Kingdom with a variety of training programs over the next three years. The goal is to enhance the MCIT’s capabilities and assist in their efforts to build a knowledge economy and foster the goals of Saudi Vision 2030 and the National Transformation Plan 2020. The MoU also establishes an agreement between Huawei and MCIT to further develop our innovation center in the Kingdom to include Artificial Intelligence and Internet of Things (IoT) technologies designed to support Saudi entrepreneurship. As a natural evolution of our investment in ICT talent, we have pledged USD 140 million in AI talent education. Globally we just launched our AI Developer Enablement Program at HUAWEI CONNECT 2018, and we will import the program to the Middle East very soon. The program will help Huawei collaborate with developers, partners, universities, and research institutions. We will use the program to build a better development ecosystem that can support AI resources, platforms, courses, and joint solutions.